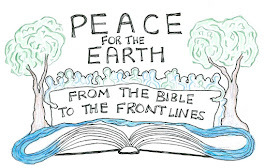 Presbyterians for Earth Care: I Don't Believe in Climate Change. I Believe in God. As a scientist who has examined the evidence, the author has been persuaded of the truth of climate change and its existence. One of the definitions of "persuade" is "to induce to believe by appealing to reason or understanding; convince." The evidence she studies as an atmospheric scientist has induced her, convinced her, persuaded her, that climate change is real and that humans are the primary cause. I understand the distinction she's trying to make. Her belief in God is not based on science, whereas her belief in climate change is. But words have meaning. One cannot simply assert that a word means something different for one because it suits one's purpose at the time. For the purposes of this article, the actual meaning of "believe in" is an _inconvenient truth_ which cannot be ignored. Correct, "One of the definitions of "persuade" is "to induce to believe by appealing to reason or understanding; convince."" That is ONE of the definitions. She is employing another commonly used and understood definition, in order to make a point. And she makes it perfectly clear that this is what she is doing. The concepts of "belief" and what they involve are what matter here, not the *words*. Appealing to the dictionary is not helpful here. It seems like a refusal to engage with the concept the author clearly laying out and using. You're just muddying the waters, purposelessly splitting etymological hairs. She is clearly stating that for her climate change is a fact of life and not some ambiguous issue in which she has placed all her chips on the YES side. She is challenging the use of the word "believe," which denialists consistently use to suggest the issue is simply subjective, and that there is no such thing as true or false. It's a stalwart right-winger tactic in the face of anything they may not wish to be so - just say "I don't believe in it" and the problem goes away. She is saying tested facts outweigh beliefs. Let's not confuse the issue. Thanks for this response. Good come back, calling out the denial and clarifying a point of view. Well done in a paragraph. This scientist is only half crazy. It's a start. Katherine Hayhoe will have to answer for herself, but I think her distinction makes sense. We don't say, "I believe in Thursday." Thursday comes whether we believe in it or not. The physical facts of the universe are like that. When I say, "I believe in God," I mean I put my trust in God. I rely on God to take care of me, even when Thursday comes. Believing in God is much deeper than "believing" in climate change. We cope with climate change because we believe in God. Thanks, Katherine -- very helpful clarification! I seen it happen with my own eyes! Well, from Noah's purview climate change was fact and occurring rather rapidly, so he acted and no doubt carefully loaded two Little Chickens, which we presume were protected from the Falling Sky. I've been a Christian since 1973 and a geologists since 1978 working for the USGS and climate change is real. Its because we haven't been good stewarts of what God's given us. The two sides of the argument keep going because few of us want to meet in the middle. Not hard to understand given the lack of thought many American Christians have given the subject. But many scientists show the same lack of openness. What would meeting in the middle look like? As a scientist, I am skeptical about "Global Warming" when I read about the adjustment of the data so that it benefits the global warming agenda. Therefore, the lack of "openess"
"What would meeting in the middle look like?" Extinction. I like your approach, but I have a hard time with a scientist who subscribes to magical thinking. Perhaps you have figured out a way to thread the needle to redefine god as something other that the Judaic omnipotent, involved magical being who is involved in daily matters of literally no cosmic consequence ( like Tebow's touchdown, some kid's algebra test, or your mom's breast cancer ) and ignores things of significant human consequence (like genocides, war, disease, hunger, yada yada). It anyone is making progress on the latter, it's YOU, not some missing and apparently psychotic goblin. For the good of science, I BELIEVE it's essential to ditch the myths of the human campfire/cave era. The damage of magical thinking is that this artifact of ancient human ignorance is getting in the way of progress. It's not helping things one iota. You don't need god for morals, and you sure as hell don't need her for science. Forrest, you seem to think the problem of evil & pain is a profound philosophical touchdown against the existence of God? It isn't. "Plantinga's argument is a defense against the logical problem of evil as formulated by philosopher J. L. Mackie beginning in 1955. Mackie's formulation of the logical problem of evil argued that three attributes of God, omniscience, omnipotence, and omnibenevolence, in orthodox Christian theism are logically incompatible with the existence of evil. In 1982, Mackie conceded that Plantinga's defense successfully refuted his argument in The Miracle of Theism, though he did not claim that the problem of evil had been put to rest." Christians often quote the Bible to support their agenda because it gets God on their side. However, the Bible is so open ended that it can easily be used to support opposing arguments. 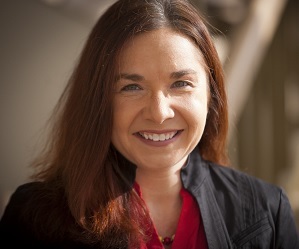 A perfect example is to compare this article by Dr. Hayhoe with one recently published by Joy Overbeck titled "Why Christians Can’t Believe in Man-Caused Global Warming" (https://townhall.com/columnists/joyoverbeck/2017/07/09/why-christians-cant-believe-in-mancaused-global-warming-n2352326). Both quote the Bible, both attempt to gain authority by claiming God agrees with them, but they reach completely different conclusions! Who is right? Clearly relying on religion to determine the truth is a lost cause, the only way to truth is through science. I know you're kinda new to the Christian thing, but just as there are peer-reviewed circuits in the various scientific disciplines, there are also peer-reviewed theological seminars in conservative reformed Christian bible colleges that review the kind of arguments you're linking to. I'd just point out that your conclusion that there is no truth to be found in the Bible/ religion in general does not follow from the fact that there are multiple conflicting interpretations of the Bible/multiple conflicting religious views. First, not all interpretations are equally well reasoned. Not all Christians hold views as simple and shallow as others. As a post-Evangelical, former conservative Christian, I am critical of the theology I grew up within, preferring interpretations that I see as much more nuanced and intellectually honest. Second, truth may be far bigger than just what science can tell us. Science cannot guide us on what we ought to do, what we ought to value, what justice is or what love is. You may assume that we are nothing more than our biology, and the chemistry and physics that underlie it. But please recognize that this is an assumption, not a matter of fact. Thank you Katherine for such wonderful insights. The world is so lucky to have you. one can't believe in both? Yes, but the point is that climate change is as reliable a fact that for those in the temperate or tropical zones, the sun will rise in the east tomorrow, as set in the west. Yes! This is exactly what I've been trying to convince my fellow Christians of for the past 10 years! It has never made sense to me that so many Christians huff and puff at any mention of the environment or protecting the earth. It is our responsibility to take care of it. It's that simple. Thank you for taking a strong stand! Very helpful article with a title which is misleading! I totally agree with her conclusions -- but I most did NOT read because of the title! "Yet when we hear Christians discussing climate change, often the predominant responses are negative: hostility, anger, and denial, a stew of toxic emotions underlain by fear. Fear of losing an identity that’s based on politics and ideology, if we get on board with a “liberal” issue; fear of rejection by our family, our community, even our church; or fear of losing our comfortable lifestyle in search of what’s right and just." This is because your average typical pew warmer is a scientific nincompoop, blindly supports the GOP (except for maybe Trump since they are herd animals who sit and watch a lot of network news networks, who hate Trump), thinks John McCain is a great American and they love their big cars and trucks and other modern conveniences. THey also hate "liberals" and everything they think is connected to liberals, including man made climate change ideas. Most are shallow, self-centered dimwits. This is why I quit churches a long time ago. Why do Christians generally resist the notion that fallen man seeks to plunder the planet and, in doing so, has brought about this damage? That is, on the most fundamental level what is the motivation that moves so many in this direction? And so it goes...the brokenness of humans in full force. It seems so easy to me to do good to the earth and the Animals. It's also easy to see that this has NOT been the case. But, we have all these humans trying to argue out all their over educated thinking and that one knows more than the other. Over consumption (food and stuff) is affecting everything, period! The fall of creation is so evident in so many ignorant people. How about instead of arguing, just make wise choices...to do that, one must take the focus off themselves and think of others. We live on an amazing planet, and have stewardship over it. Our traditions teach that our creator delights in creation-- and wishes us to delight in it too, which includes caring for it. As created beings, our love for creation extends to one another, as all are part of creation. We are asked to love one another and to extend special grace and care to those who are most vulnerable. It is very clear that shifts in storm, rainfall and weather patterns, rises in sea levels, and the increasing intensity of weather related events--including floods, hurricanes and fires--are the result of climate change. More than 26,500 separate lines of evidence indicate that the planet is warming and nearly two hundred years of science data establishes that these changes are the result of human actions rather than an extension of natural cycles. The data is in: global warming is not a matter of 'belief,' and in fact belief is irrelevant in this context. Sadly, the biggest impacts of climate tend to be borne by those least able to withstand the changes--by marginalized people who are already suffering. A changing climate exacerbates hunger, poverty, disease, and injustice. Yet for so many, the changing climate is still categorized as a"belief," to be debated, accepted or discarded--open to being delegitimized. As people called to love our God with all our hearts, all our souls, all our might, and all of our being--we DO have the power to effect meaningful change in the world. We can love all humans, especially those most in need, use all of our minds to understand what is happening, acknowledge its seriousness, and commit to fixing it with all our being. Climate change is not a matter for 'belief;' it is irrefutable that our lives are dependent on our planet and on one another. How we treat the planet and each other has a real and immediate impact on our ability to stay alive. It is that simple. Our call to do justice, love kindness, and walk humbly with our God--is both selfish and selfless. Our very existence is at stake.